Plastic is rapidly becoming a big hazard for the environment. With rising levels of consumerism, the usage of single-use plastic has risen considerably. Packaged food and drinks have become a common snack for today’s generation who carelessly dispose off the packets. It takes close to 500 – 1000 years to degrade just one bottle of plastic. The plastic which is not degradable is disturbing the ecological balance of the environment. However, there is an increasing awareness in today’s society about this matter and even schools are teaching the kids about how to curb the usage of plastic in their daily lives. Many organisations have also pledged to use the existing plastic waste and convert them into something useful in the society. 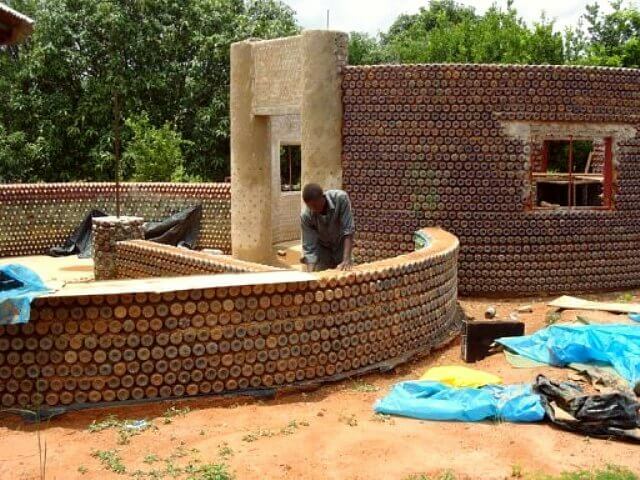 One such example is using plastic bottles for building houses. 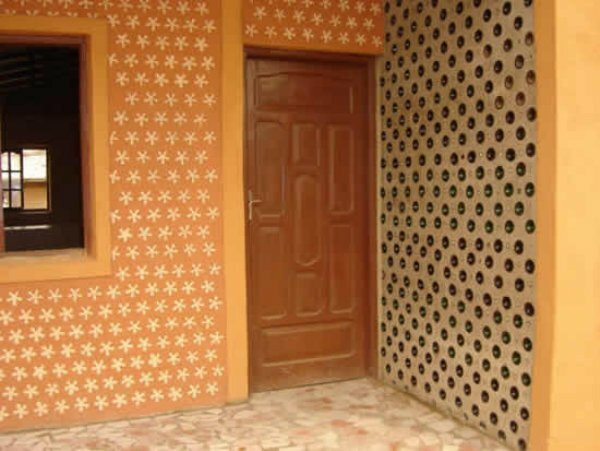 Plastic bottle houses are prevalent in parts of India, Africa and South America. Plastic bottles are usually stuffed with sand which are used as bricks. These plastic bricks can even be cemented in layers to give a comprehensive look. Houses, water tanks, cisterns, greenhouses and many such structures can be built using these bottles as they are not only low cost but also have good insulation properties. You might also like to read about Floating Solar Homes. A refugee also popularly known as the “crazy bottle guy” has been building such plastic houses in the deserts of Algeria which are more durable and can withstand storm, heavy rains and high temperatures. These houses can be built in a week’s time with four pair of hands and 6,000 waste plastic bottles. About 14,000 bottles of uniform size are needed to make a two-bedroom bottle-home. These bottles must be sorted according to their shapes and size. The first house in the world was made from PET bottles without using cement in the wall in Honduras. It features a solar water heating system and composting toilets and is thus 100% environment friendly. Also, read about a Solar Dome. It is not necessary that these houses will look like a ordinary construction. One can also beautify the place which ends up looking like this in the picture below. Thus it is a win-win situation both economically and environmentally for the society. I think it is quite an innovative way of using something that leads to large garbage piles and ends up in landfills. Plastic homes should be supported and promoted wherever feasible.